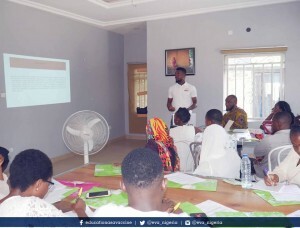 As part of the capacity building and development for young advocates under the O3 Project, Education as a Vaccine (EVA) and partners in the O3 Project conducted a 2-day Sexual and Reproductive Health and Rights Advocacy Workshop for Youth Advocates between 11th and 12th March 2019 to increase their capacity on policy/evidence-based advocacy and social accountability using the PMNCH’s “Advocating for Change for Adolescents” toolkit. Our Rights, Our Lives, Our Future (O3) Programme (2018-2020) aims to ensure a consistent reduction in new HIV infections, early and unintended pregnancy, gender-based violence, and child marriage. The programme also supports the delivery of comprehensive sexuality education that empowers adolescents and young people, while developing the skills, knowledge, attitudes, and competencies needed to prevent HIV, reduces early and unintended pregnancies and eliminates gender-based violence. In the training, EVA leveraged on the PMNCH- Advocating for Change for Adolescents project’s toolkit developed to guide and train young people on advocacy. The toolkit serves as a guide to any advocacy work plan; helps young advocates to map out target audience, indicators and broadly discuss strategic ways of implementation. The goal of the PMNCH project is to improve the policy environment that upholds the rights of adolescent and young people to sexual and reproductive health (SRH) information and services in Nigeria. In her introductory remarks, EVA’s Program Coordinator, Eno-obong Ekwere stated that the workshop was important in order to identify various challenges young people face in accessing SRHR information and services in their states and opportunities available for advocating for improvement on youth SRH. According to her, “The O3 project will support the delivery of sexual and reproductive health and right programs, provides values & skills, and ensures that schools are safe and healthy for young people”. Also, the workshop differentiated between policy advocacy and other types of advocacy while increasing the capacity of 250 adolescents and young people aged 15-24 to hold policy-makers accountable at national and state levels by end of 2019 and to understand the current situation of SRHR of young people in Nigeria. The 2-days training attended by 23 young people was conducted in different sessions that addressed key topics including SRH and ASRH context in Nigeria, Nigeria HIV and SRH policies, identifying advocacy targets and developing advocacy messages, and use of social media for advocacy purpose. During the training, different facilitators led the various sessions to build young people’s capacity for effective advocacy. In one of the sessions, Itoro Ekanem, a Program Officer with the Advocacy and Policy Influencing Unit facilitated a session on Nigeria HIV and SRH Policies. 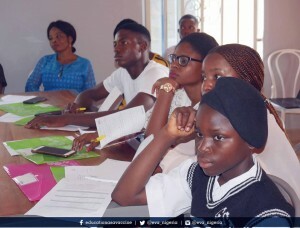 According to him, “youth advocates need to get facts right and understand certain policies in order to carry out effective and efficient evidence-based advocacy”. He further projected different policies that exist e.g. National Policy on the Health and Development of Adolescent and Young People in Nigeria, approved in 2007, and Adolescents Health Policy. In order to assess the knowledge gained by the participants, a post-assessment test was conducted. The results showed that the workshop training was a success as participants were able to understand the current situation of SRHR of young people in Nigeria, identify the various challenges young people face in accessing SRHR information and services in their state and develop an advocacy work plan and strategy that will help them in advocating for the SRHR of adolescents and young people to be prioritized in major policy processes in the country. It is expected that with the knowledge gained at the meeting, these young advocates will be more effective and strategic at the utilization of advocacy and lobbying as a collective tool in facilitating the implementation of the O3 project and on general issues of SRHR. The O3 Nigeria project is a UNESCO project being supported through the generous support of the Government of Sweden and other partners. The O3 Programme also builds on current efforts by UNESCO to improve SRH, and gender and education outcomes for adolescents and young people.